The fire retardant the forest service used to use was actually based on fish blood, which had the bonus ecological effect of fertilizing areas that hadn't seen salmon in generations. It takes about 1 fish per acre to make a big difference in micronutrients like phosphorus for upland forests. However, firefighters tend to be working rough and have small cuts and bruises any given day, and having stinking rotten fish blood dropped on them out of the sky was pretty unpopular and something of a health hazard. Eventually they switched to detergent-based retardants, and now there are some gel-type retardants coming into use. I think most of the sites suitable for large-scale dams have been dammed, a lot of them with the help of my granpa Ray. The West has a lot of artificial lakes. I was indeed talking about massive, but soil- and gully-scale improvements to water retention. Snow melt's major benefit is that it comes down slowly, trickles throughout the seasons rather than flash floods. Deep soil and aquifers have this behavior too. Big dams really don't - in addition to evaporation, they seem to encourage large-scale decisions, and water levels may be changed by feet or millions of cubic yards of water as a management decision. The water released from big dams goes downstream in rivers, and swiftly out to sea - mostly, not back onto pasture or wildlands. Water flow through dams is determined based on electrical usage; based on anticipated flooding or drought; based on the risk of cascading dam failures (if a dam above breaches, the resulting surge of water dramatically increases the likelihood that the next dam will fail). So what I'm speculating about is an even more massive, possibly even more disruptive process, but I'm suggesting we undertake it very gradually, patchwork-fashion, and predominately in areas that are already heavily damaged and prone to erosion. Essentially, rake the mountains (especially those just burned so hot they have lost most of their soil and root mass), into pleasing Zen-garden shapes along keyline principles, so that they tend to spread and slow water and move it toward the ridges, and build soils faster, than untreated areas. I would really like to see some good evidence and documentation of how this treatment works in the arid and semi-arid West, before proposing it to those with the means to do it on a large scale. If your community or a large landowner near you has started a regenerative forestry or pasturelands process aimed at improving soil depth and water retention and reducing erosion, and either has participated in studies or would be a good candidate for study, please let me know. julian Gerona wrote: Scientist have protocols and guidelines to obey as thought in school. I disagree. Yes for most things protocols have been developed to simplify things, but they are not binding. It is perfectly valid to run things different from the norm, assuming the process is documented. If scientists would only stick to existing norms, new discoveries would be quite rare. This is something I noticed, during a bachelor-level education and science education career in which I met a lot of working research scientists. Don't sweat the memorization and math requirements. Those are "filters" that are used to test and grade students; they're very useful in some fields, but not as important as you might think for others. Many people working in research can go for days or months without doing higher math, or trying to memorize new technical terms. One mathematician described an actual mathematician's working life as "you spend a lot of time imagining and visualizing problems, like trying to figure out if you can turn a basketball inside out without pinching its surface...."
You can build strong teams where members have different skills. So persistence, good record-keeping, and a creative eye for new implications of funny things that happened today, can be far more important than a particular protocol. One mentor's favorite example was a story of a screw up that changed history: Dr. Flemming was studying mold, sneezed on a petri dish, and instead of throwing it out, he documented it. the dish in question contained penicillium, he was alert enough to notice that the bacterial colony shapes were unaffected (the other germs got knocked out of their way), and the result was penicillin and the age of antibiotics. Fortune favors the prepared mind, but the best education makes no difference if you run your lab with your eyes shut. Protocols are certainly critical in some forms of research, particularly applied sciences like medicine. "Labs" like blood work or drug screens are not opportunities for creativity - they are diagnostic tools that need to be consistently performed and documented in order to serve the doctors and patients who need reliable information. The data you are gathering is critical to real-world, life-altering decisions for patients; and it's also part of a much larger, slower process where that data may be compared in large-scale statistical trials and models. Gathering consistent data, or finding ways to compare different data fairly, is also critical to studying large-scale complex problems like climate change, tidal chart predictions, or new diseases. Where complex systems affect people's lives, it's easy for small errors or assumptions to multiply into misleading results. Insight about these issues often come in a flash of creative inspiration, but fact-checking them can take years. In some of these sciences, rigorous protocols are part of a respectful due diligence to protect the lives involved. Where the data and decisions affect lives immediately, or where they may be used to mandate government regulations that affect many lives for many generations, we expect and demand more careful study from our scientific experts. The reason we ask for scientific data, as well as public opinion or local knowledge, is that there may be many opinions, and getting it wrong could hurt many people. Our population now moves so frequently, that traditional knowledge and rules of thumb that we learned from our parents and grandparents may not even apply to our current ecosystem or culture. Science can help determine which of several appealing mental models is actually relevant to the current situation. - re-introducing predators changed the environment. Predators don't necessarily take a lot of big game (buffalo, elk, deer) but they do keep those herds moving more. With the slightly reduced population numbers and greatly reduced browsing pressure, some of the wet-meadow trees started coming back. (aspen, willow). Those are favored foods of beaver, which are pretty well able to swim away from land predators. So not just the removal of beaver, but the removal of the predators for fur and ranch-protection, may have tipped the balance more toward the erosion of the west. There are records of tribes lighting fires to improve grazing for their horses and herds. (for example, a raiding party going from eastern Washington or Oregon toward Montana might light a fire behind them, to provide fresh grazing a few weeks or months later as they returned.) I've seen grass and asparagus sprouting in August after a fire, a time I'd normally expect those plants to be dormant due to lack of water. But 20th-century propaganda told ranchers to prevent wildfire in order to protect their rangeland heritage. The result of fire suppression in rangelands is a lot more sagebrush (inedible or not preferred by most grazers), juniper, etc. and arguably less grass. Sagebrush and juniper can be nearly eradicated by one good hot fire, where the grasses come back before the charcoal has even washed away. Now, ranching has also dramatically reduced the native people-edible plants in some landscapes. Cattle eat or trample delicate plants that are edible to people, and their excrement spreads non-native grasses where once there were patches of edible flowers, herbs, and fruits. So as we integrate prescribed fire, grazing, and native plant biodiversity in managing public lands, we may want to leave a few "control" areas adjacent to range pasture for preservation and comparison of biodiversity. A lot of the public discussion about wildfire seasons has to do with nuisance smoke, something that affects everyone even if you live in a city where the wildlands are postcard-sized in the distance. Prescribed fires don't necessarily make less smoke (though arguably they do reduce the total fuels being burned by preventing catastrophic crown fires), but they do give us better chances of timing the fire so that a rainstorm will wash the air clean within a day or two after the fire. So they can be a much shorter-term nuisance. 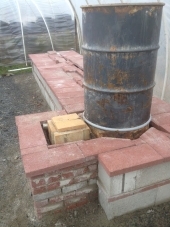 Natural fuels processing through community collection for clean-burning wood stoves and furnaces, and alternatives like chipping and hugel beds, makes less smoke yet. Forest service already opens areas for firewood collection, and often targets areas that are intended for prescribed burns in coming years. Some people think that "don't touch" should be the primary caretaking approach to wild lands. Leave it alone, it will be fine. But people are expanding into wilderness - often the people who love it the most are the ones doing the initial settling and damage - and there is not enough acreage left in nature reserves to maintain genetically viable populations of large wild animals. It takes a shockingly large territory, something like 30,000 square miles per species; there is not enough planet unless those species can overlap, including overlapping with humans' "private property". So I'm generally in favor of human lifestyles that tolerate overlap with other species, and where humans are encouraged to meet their own needs in part by removing unwanted or surplus materials from wild areas. People who actually visit the woods to pick mushrooms or gather firewood have a lot better idea of what is going on there, a lot more reason to observe closely the details and differences in the landscape, and a lot bigger stake in stopping something destructive, than those who just look at it on camping trips or through picture windows. When humans use wood for fuel, and picket their "home stock" nearby, there is cleared circle around every settlement. This is similar to what's recommended in FireWise design (sometimes these circles overlap, and the woods disappears into hedgerows as in England). There is not a lot of time to deal with the dead grass, either, because you have to drive back to town for milk, and to make the money to pay the propane bill. Some conscientious settlers do still mow what would formerly have been eaten, and compost or mulch what would formerly have been fuel. Arguably doing a specialist job and a little yard work on weekends is still less work than chopping wood, hauling water, and milking and tending cattle - but it's a different kind of work, and may feel lonelier and less healthy. And I very much appreciate what Alan just said about defining "scientist." The original science was about using the results of experience - experiment - instead of orthodoxy to determine truth or falsehood of claims. Scientists, artists, religious scholars, and riflemen may all have well-honed intuition. And they may all take training from authorities and masters of their craft. What distinguishes an effective scientist - and often an effective artist, rifleman, or minister - is that they take those lessons and impulses, and test them against actual results. A rifleman may believe that breathing out or holding his breath improves his aim - but he will need to practice it, and the shot groupings will prove which is more effective. In some cases, what works best for one person or weapon may be different from another; in that case, it's still your job to do as your drill sergeant trains you (authority), but it may not truly be the best method for your best performance. You can become a very good marksman just shooting at pine cones - but target papers give you a better way to test, and thus hone and calibrate, your best practices. I'm enjoying the company of fire fighters partly because, like the bushmen's traditional environment, the fire ground is a field where reality can kill you if you get it wrong. There are good reasons for a lot of the 'orthodoxy' of these high-risk livelihoods; novices do well to follow their training and follow orders religiously. But there's also a culture of lifelong learning, and of sharing observations, and updating the models as conditions warrant. By sharing observations, I'm not talking about endless discussions of theory in the field. New fire fighters are more likely to talk a lot than older/more experienced ones. Often the most interesting days have long periods of silence, or minimal verbal communication over the noise and confusion of events. It's the boring days when people talk over repetitive tasks. Talking and comparing beliefs involves sharing mental models, and as such, can be a barrier to actual observation. I've been working seasonally on wildland fire for the past 4 years, and I'm seeing some things that are almost but not quite permaculture. Wondering about long-term strategies to mitigate fire danger, improve forest and grasslands health, and get a handle on the waste of resources, lives, and nearly interminable smoke seasons from recent fires. - Climate change: Weather weirdening includes longer and more severe droughts, earlier snowmelt, less moisture and lower humidity into the summer and fall, and more extreme storms including potential lighting or wind events that can whip lingering wildfires into fire storms. - Non-climate change: Patterns of wildland-urban occupancy are changing; there's a push further out into areas that were not considered suitable for farming by previous generations, including many of our permie friends are setting up house in scenic, wild-ish places. Even as the majority of the population have become urbanized, and disconnected from land-management practices, practical skills, and the level of sheer physical work needed by typical peasants (land people) of past generations. - Tech change: Social and industrial changes also include the availability of better geo data including satellite photos and GPS tracking, drones, mapping, and integrated resource maps that are starting to tickle the edges of mapping hidden features like hydrology. And the availability, perhaps waning but still strong, of fossil-fueled heavy equipment to do earth-shaping. - Changing natural patterns/landscape: A lot of people know that wildfire suppression has led to a buildup of unburned, dead and down fuels in many forests. (and to a lesser extent, the lessening of firewood collection around communities has also contributed to a concentration of fuels that would have been unusual around settlements in previous eras, in my opinion). Geology is being changed with mining, roads, farming, and construction, and in some areas through natural processes like volcanoes, landslides, etc. Wildlife patterns are also changing; predator populations mostly declining, which sometimes results in increasing pressure of things like deer. Plants are migrating north and uphill, changing what's growing in many places, and leaving a certain amount of dead and dying plants that may be different from previous patterns. All this adds up to, we have a lot going on. Wildfire season is getting longer, fires have more potential for extreme growth; and fires have always been somewhat hard to predict and control even when we had fairly predictable weather patterns. Just preventing fires might not be the actual goal. 'Cause we can do that by paving everything down to mineral hardscape. If we want to conserve green, vibrant, vitality in the landscape as good stewards, we may need to take a more active role in resilient design. - water management - mostly through big and small dams; for example, in 2019 our Lake Osoyoos will be filled to operational levels a month early to compensate for reduced snowpack and likely water shortages post-spring. Fire districts also cache smaller amounts of water near wildland-urban neighborhoods in tanks or portable reservoirs for firefighting needs. - localized forest/land plans, FireWise communities - Conservation District grants, USDA programs, BLM, forest service, tribes, states, and other land managers work to various degrees to manage wildland resources, which can include fire mitigation as well as dealing with blights, pests, timber sales, recreational values, other forest products, and community priorities. Some communities are pre-planning designated "Contingency Lines," basically a long linear meadow, open pine savannah, or road and trail system that can easily be turned into a fire break in the event of a large forest fire. Trained regional people are available to come in and advise homeowners and other land managers about how to prepare and improve their property, and what resources are available to help with labor or other costs. - Water Bars 2.0: Fire fighters already mitigate erosion by cutting "water bars" across steep sections of fire-break (trails and bulldozer lines down to mineral soil). If these were integrated into keyline-style, just-off-contour water diversion, we might improve seasonal soil moistures on a longer-term basis. - Beaver Dam Analogues, BDA: Beavers were trapped out generations ago, and their near-extinction has been remarked on as a major factor in the transformation of the West. Beaver ponds tend to become wet meadows through silt collection, dramatically improving water retention and arable land/fecundity of natural landscapes. In the absence of beavers, streams tend to cut deeper, water tables drop, erosion gets worse, and the landscape generally has fewer green oases and more rugged / harsh / drylands characteristics. Note: Drainage vs. Water Harvesting - Unlike beavers, our priority, coming from cultivated Europe, has been largely to drain fields and buildable lands, to prevent flooding and saltification. (A drained field can be irrigated, 'rinsing' the soil, to reduce accumulation of persistent salts). We also tend to divert and drain water away from our buildings, and solve road erosion problems by ditching and draining away the water. This all contributes to removing water swiftly from the landscape during our spring flood seasons, leaving it drier and far more prone to wildfire and erosion the rest of the year. Environmentalists often object to salvage logging burned forests. However, many of the environmentalists who end up writing public petitions and initiatives to regulate or prohibit this activity have a lot less experience in the woods than the loggers and land managers that are trying to deal with the situation. If you have never set foot in a post-fire forest, and are not willing to fund or participate in a community restoration effort, maybe find someone with more experience who can help with that kind of oversight? There are now a LOT of Western forests with huge stands of dangerous, dead trees that are too bug-raddled to be commercially useful, too plentiful to even make good owl habitat (they are too close together), and their most likely ecological role is to fall on something/someone and squash them flat, or burn again and intensify the next wild fire. A certain number of nurse logs would be GREAT for forest recovery; but a lot of these stands are so thick that pushing trees over would result in a giant pick-up-sticks pile of aerial log fuels, which could not even reach the ground to start decomposing properly. Not great for soil, but great for maintaining high fuel loads and dangerous fires. Very intense fires, fueled by a lot of dead and dry timber, tend to scorch the earth and destroy fertility far worse than small, more frequent brush fires. - Salvage logging dead trees within the first 18 months after a fire can pay for itself to some degree, as well as being beneficial to the long-term health of the forest. Since we harvest lumber from somewhere, selling the salvage helps pay for forest stewardship operations, and ostensibly reduces the number of live trees being killed during the same years. However, many of the stands needing attention are very low-value; and after a few months, dead trees are hard even to chip up for pulp without destroying the pulping equipment. Yes, salvage logging often includes cutting live trees that are determined to be 'damaged', or just in the way of operations, or valuable enough to cut. Pulling downed logs from fire areas is a very good idea. Clear-cutting them, probably not. However, with intense wildfires, there will be areas so badly burned that the removal of most dead logs would effectively resemble a clearcut. Erosion will be a major problem in these "nuked" areas, with or without the involvement of logging equipment. - In-Place Nurse Log Rehabilitation: Rather than remove larger logs/snags, those without lumber value can be used in erosion control (sometimes done now for 'rehabbing' dozer line and hand trails), and potentially they can be deliberately incorporated into soil-building tactics (nurse log/ hugel berms). I should note that experienced wildland fire fighters find buried logs and stumps somewhat terrifying, as they can still catch fire, burn away leaving cavities under apparently intact soil above, creating fire-filled pit traps for fire fighters. Some of the worst burns that take fire fighters off the line come from falling into undetected stump holes during mop-up, and getting a boot full of embers or worse. Even after most of the fuel burns away, soil and rocks hold the intense heat for some time, which intensifies the heat and difficulty of finding and extinguishing any remaining fire in the roots or tunnels adjacent. - Hugel Berms: There may be ways to do something like water-bars or hugel-fields, where logs are buried in shallow arrangements one or two layers deep, that would not create unreasonable hazards during future fires. - Meadowing: One of the most common things that manpower is used on big fires is to trim out and clear out brush and dead branches beside structures or roads, to create clear areas where fire will move more slowly, with shorter flames, through the remaining ground covers. Areas beside roads or fire line are sometimes burned out to create a wider area that will not support big fire. When done right, these burnout areas generally green back up within months, and look better than untreated areas for the next year to five years (almost park-like; and many flowers, mushrooms, and berries thrive in opened, fire-affected areas). Fire Wise design and permaculture are pretty well in agreement to concentrate the work around the home, making your Zones 1-3 places where the food grows fast and fire moves slow. An open meadow, circular driveway, or well-watered orchard around the house can be part of a fire wise landscape design. - Mulching: After clearing the brush from one side of the road, it's not that productive to just pile it in tangled windrows on the other side. More often, masticators or chippers are brought in to process the trimmings into mulch. Mulch can be spread in place for soil building, and helps with soil water retention and plant regrowth. - Snow Pack Substitutes: If we allow the glaciers to melt away, and our living soils to be destroyed in fire, drought, and massive erosion events, it seems like the water table will most likely drop away from our wells and food production areas in short order. If we want to retain year-round flow in streams and rivers, we may want to intervene to create some type of replacement for dwindling glaciers and snow packs. I'm not suggesting that technology can fully replace these massive reservoirs of fresh water; but in areas where large populations depend on seasonal water, it may be worth looking at beaver-dam analogues, keyline contour and terracing, and anything else that may build deeper soils, higher and larger-volume reservoirs, and more areas of shaded and erosion-resistant landscape that can retain water longer into the dry periods. Even if the snow season dwindles away dramtically, more rain still falls in the West up high on cloud-capped mountains, and feeds our creeks and rivers. Anything we can do to keep it there longer into the summer droughts could help stabilize regional humidity and fertility. Some watersheds (Bull Run) are already protected and stewarded as municipal clean water supplies. We could encourage each community to adopt at least one upland watershed, or more according to its size and needs, to steward effectively to improve the slowing, sinking, and smoothing out of the annual rainfall budgets. Future generations in arid lands may see diverting fresh water away from human settlements, or contaminating it with fertility-destroying chemicals as part of waste-removal functions, as one of the greatest crimes our generations have perpetrated against humanity. With weather weirdening and less predictable annual rainfall and snow packs, we may need the capacity to store and hold more than one year's annual water supply for our towns. Reservoirs are expensive and inefficient in the arid West (evaporating the water they collect and leaving salted pans), and covered tanks even more expensive and harder to construct in the volumes needed. Living soils and shaded aquifers must be protected and enhanced. Does our developing technology offer any new tools for mapping and managing soil and subsurface hydrology? Who else is thinking about this stuff? What do you see as top priorities for your neighbors and communities, that might be the best places to engage for public good? What tools are becoming available, or are feasible to create, that might help us handle this adaptation and mitigation? What research needs to be done before recommending solutions? What aspects of this problem can we best manage this at the patchwork, local scale that breeds more diversity and resilience? What types of federal or global support may be needed, when local effects of these problems may overwhelm local resources? That one the dog is sleeping on, is the one set up to take 4x4 foot IBC rigid 'totes'. Jeff Dible wrote: Erica, I'm considering doing something like this to heat an aquaponics system either building a 4x8 raft tank on top of it, or using the mass as one of the sides of the 4x8 tank. The builders guide has been helpful and great for radiant room heating. I'm trying to get that heat into water without playing the boom squish. Do you have any insight? One of our beta testers was doing micro aquaponics, so the pictures in the plan set show how he prepared his bench for part of his tank setup. He built the mass to support two or three of those rigid liquid totes, so the tanks rest on tiles directly above the pipes in the mass. (Brick walls support the paver-like tiles, the remaining mass is softer cob/sandy stuff infilled around the pipes.) This setup is located along his greenhouse wall, where both mass and water also collect sunlight to reduce heating needs. Another option is to include a variation on Tim Barker's water heater on top of the barrel, to produce on-demand hot water for piping to other tanks. That's described in Appendix 3 of the builder's guide. In this case, I'm imagining just a big pot of water, like a giant canning kettle with a regular (non-pressure-canner) lid, and a coil of pipe dropped into it to run pressurized domestic water through the hot-water bath. This system allows the water directly over the heat to boil (which it likely won't, unless you work harder to insulate and trap the heat), but even if it did, minor spillage rather than boom squish. The higher pressure in the piped water raises its boiling point slightly, so it won't boil until all the other water has evaporated, and even then, the heat transfer would be pretty limited if the coil is up off the bottom of the pot (like you get with a canning rack). Don't skip the pressure relief valves anyway, but Tim's system seems more owner-buildable than most other attempts I've seen. I like the canning-pot size because you can take it apart and clean / de-scale it as needed. How you dribble hot water into fishtanks without killing the fish is your deal - I'm guessing there's a lot of known mixing technology and thermostat controls available. I probably would not recirculate algae-rich water through small pipes for re-heating, however. It seems likely to cause blockages and complications with the pressure differentials, which are a necessary safety factor not just a convenience. You might look at a secondary heat-exchange system where you just drape some hose or pipe from the heated water lines into the tank, and don't let the waters mix. Again, researching what kind(s) of hose or pipe can do this without killing fish is up to you. I think fish can be sensitive to copper, and synthetic hose will often off-gas when hot. Might be some type of Nalgene tubing, or stainless steel, could work? Those are my thoughts. If you get something working to your satisfaction, I'd love to see pictures here. Question: For physical sales, how does it work for delivery? Specifically, when the person clicks on it, are they prompted to give an address? Allowed to make notes such as "UPS address / USPS address" or "UPS back porch please"? How does that address / order information reach the seller? Any chance there might be a magical "Permies Store" where you can send a case of physical items (books, DVDs, etc) and pay a fee per sale so that Permies elves magically ship those items as soon as they are ordered? This is a Digital Marketplace thread, with premium content for sale. The Six Quick Stove Tricks mini PDF contains 3 mini-stoves you can build for under $3 each, and another 3 stoves you can build for under $30. We often use these stoves as breakout activities for fire science or rocket intro days; they are great fun to do with friends on a fire-safe campsite or backyard barbecue. Please click below to purchase a copy of the 5-page printable instructions, titled "Six Quick Stick Tricks.pdf"